After our trip down to York earlier in the year, the Vikings have been something of a family interest. My eldest loves the boats and our youngest is rather interested in the people and their work. Of course we all know that the UK was an important Viking destinations for raids and settlement. 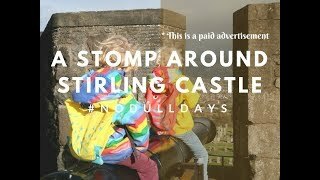 But where are the best places to visit on a Viking ‘trail’? I’ve researched our Viking attractions and put together a list of some great places to visit in the UK to find out more about Vikings. 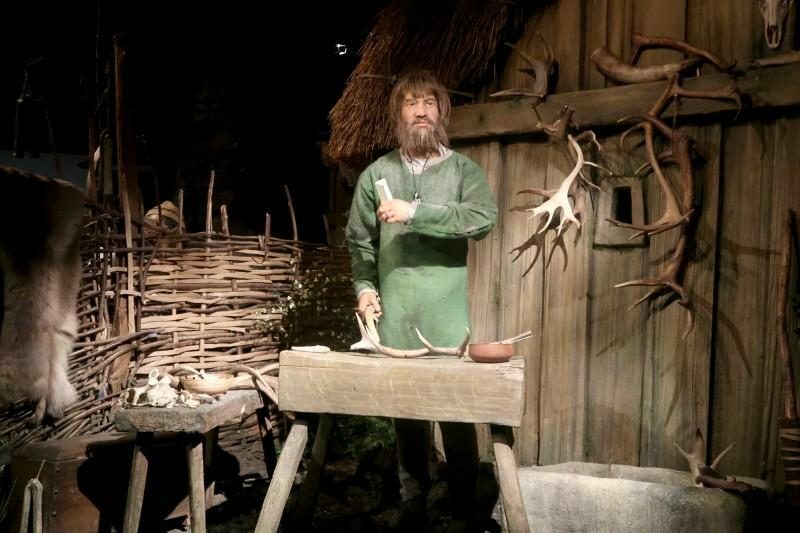 Jorvik Viking Centre. 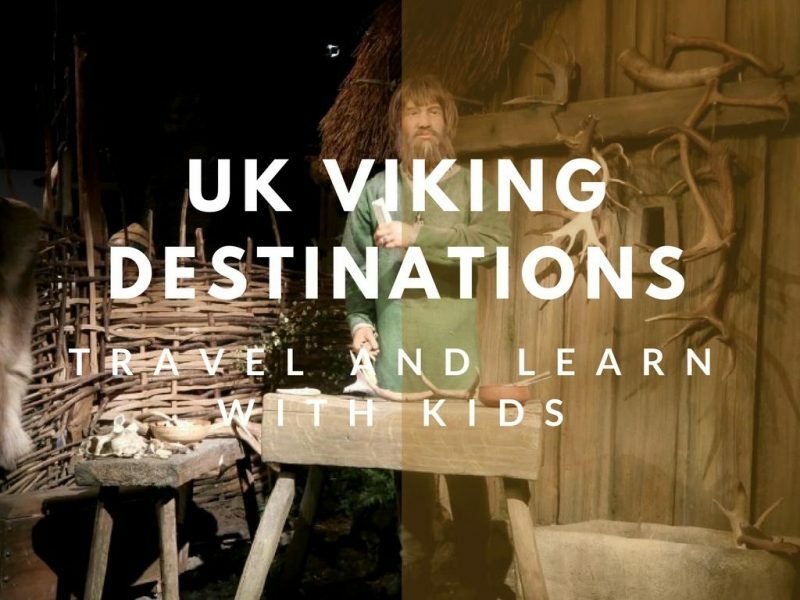 I have written more about our visit to Jorvik here, the boys loved the Viking Centre and learnt a lot about the vikings day-to-day lives. The most exciting part had to be the ride, where we could see and even smell Viking life! Lindisfarne, Holy Island. The well know raid of 793 AD was at Lindisfarne, although it wasn’t the first raid of the British Isles, it’s definitely the most significant. You can stand at Lindisfarne and imagine the Vikings sailing across the water and visit the centre to find out more about the raiders. Vikingar! Largs. Travel back in time and enter a viking longhouse to tearn how the Vikings cooked and traded, then travel to Valhalla to meet the gods. Head through to watch 500 years of history on film and finally enter the hall of knowledge where there are interactive boards, games and more. Dorset Ancient Technology Centre. Mainly used for educational visits, but occasionally open to the public the Ancient Technology Centre has a reconstructed Viking Longhouse. You can learn many working skills that Vikings would have used and educational establishments can even stay in the Longhouse overnight! National Museum of Scotland. The National Museum is one of our favourite museums to visit. It’s free entry (although donations are very much welcomed) and you can easily spend several days just wandering around all the exhibits! There is a great Viking section that includes the Galloway Hoard, the famed Lewis Chessmen, an Orkney grave and many other artefacts. House of Manaanan, Isle of Mann. The museum has a history of the Isle of Mann, including some fantastic displays of a Viking longhouse, Viking ship and other incredibly interesting parts of Viking life on the Isle of Mann. Orkney. 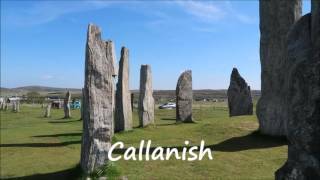 The whole of Orkney is covered in archaeology and as one of the Viking’s ‘earldoms’ it has a great deal of interesting Viking history. Follow in the footsteps of the Orkneyinga Saga trail and see Viking sites such as Dingieshowe (a norse parliament) and St Magnus’ Cathedral. Where else would you add to the list? Let me know in the comments! My two are getting really interested in vikings as well. 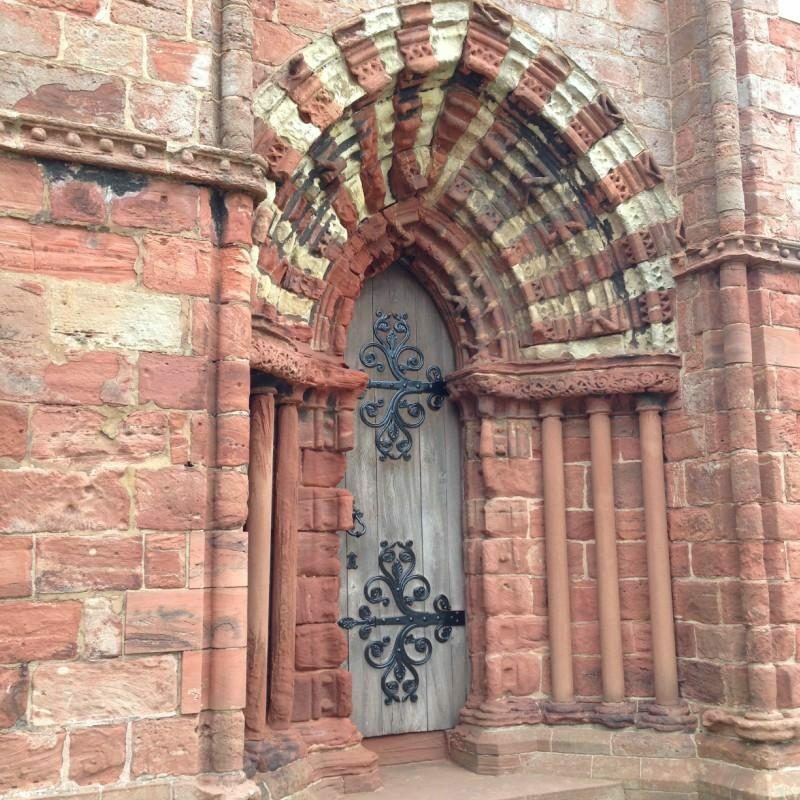 We went to Lindisfarne last year, such a beautiful place. We can’t wait to go to York to check out all the viking themed attractions. 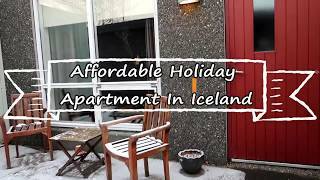 Just need to find somewhere dog friendly to stay!